Basel owes the river Rhine infinitely much. The river was a trade route and water reservoir, used as an outdoor pool and later on even as a sewer. Back in the eighties, no one would have even thought of dipping their toe in the river. That changed. Since then, the river turned into the lifeline of the city. During the summertime, people relax, do sports or drift away in the river. The water is so clean that citizens of Basel take their swimming equipment everywhere they go. Cleanliness is something that is valued highly in Basel. It is most noticeable when you stroll through the alleys, jump into the Rhine or visit friends in their own home. The typical Basel people like it clean and tidy. That is the reason why a lot of people who move, hire a cleaning company for the final cleaning – for a good reason! Too often you hear tenants tell stories about cleaning their flat by themselves and then getting called in by their administration for a second round because it was not clean enough. Considering that on average it takes 8 hours for two people to clean a 3-room flat, a professional cleaning company would have been worth it tenfold. So, dear tenants, think about it twice before you take matters into your own hands. The cleaning can be a great pain, it doesn’t have to be though. MOVU, the biggest moving and cleaning company platform in Switzerland is located in Zurich but is no stranger to the city of Basel. The founder and CEO, as well as big parts of the core team are from Basel. So, you can be sure that we know how clean it has to be for the apartment handover. That is the reason why everyone talks about MOVU. It has never been this easy to find the perfect cleaning or moving company. With only a few clicks you get 5 offers from quality-tested companies: free of charge and non-binding. You can compare the prices online and read hundreds of customer reviews, who booked the companies before you. Talking about cleanliness and cleaning companies: During the “Drey scheenste dääg”, which is what people from Basel call the carnival, the usually calm inhabitants turn it up. It starts with the “Morgenstraich” at 4 am and soon the city is covered behind a curtain of “Räppli” (confetti). During these days, everything is allowed, and one notices. Especially when you can’t even see the streets anymore because of all the confetti. With all the energy that the inhabitants put into partying, one could think that the city would look like a mess for the next few days. But surprisingly, only 24 hours later the whole city is spick and span again. When it comes to cleanliness the people from Basel are top, just like MOVU is! The “Bebbi” (what people from Basel call themselves) seems to like his city. This is proven by statistics about migration within Basel. 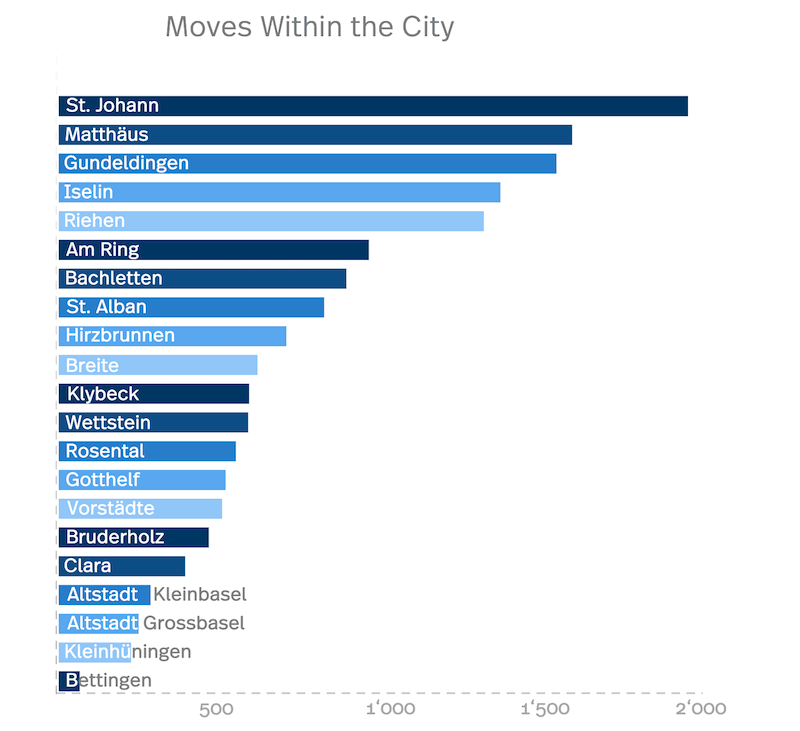 In the last year, over 17’400 households moved to a new place within the city with the winner districts being St. Johann, closely followed by the Matthäus-area and the “Gundeli”. The loser districts are Bettingen, Kleinhünigen and the old town in Grossbasel. But no matter if one moves to, within or out of a city, moving is never a small undertaking. Finding the right company, disassembling the furniture, packing, selling, repairing and disposing of things, unpacking boxes, informing companies about the address change – the list is endless. And additionally, you have to clean your old flat. That is often the moment where people think to themselves “Is this never going to end?” Take it from an expert: Don’t clean yourself, hire a cleaning company. Start your inquiry right now and receive 5 offers of quality tested companies – for free. We know that you can use your time for something better than cleaning. Take a walk through Basel and go into one of the great coffee houses (see the tips below) or you could already start unpacking your things in the new flat. But leave it to the professionals to clean your old home – you can save a lot of energy and time. And even if your landlord is not content yet – if you book over MOVU, we guarantee the handover of the old flat. Should something not be okay, the cleaning company will clean again – free of charge! Take a chance and let yourself drift in the river! No matter if it’s by yourself, with friends or if you participate in the yearly Rhine race: The jump into the river is part of the Basler identity. Become one with the city! A traditional river crossing – Get onto one of the ferries and cross the Rhine the way that people did 150 years ago. Just ring the bell at the mooring and “Dr Fährimaa”, the captain of the boat, will bring you to the other side safely. 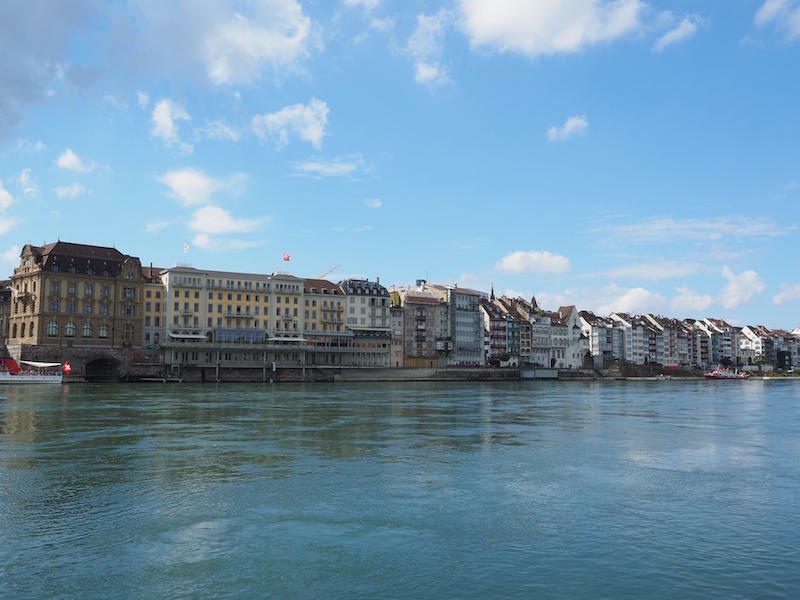 Discover the alternative Basel – Basel is hip and you will notice that as soon as you cross one of the many bridges that lead from Grossbasel to Kleinbasel. In the area called “Matthäus-Quartier” you can find everything from coffee houses to clothing stores, restaurants, bars, clubs – everything that your heart desires. Just take a walk and explore! Basel is perfect to relax, read your newspaper and drink a coffee. Maybe even while the cleaning company is taking care of the final cleaning. Here is a list of great coffee places around the city: Frühling, unternehmen mitte, zum Roten Engel, Zum Kuss, La Fourchette, Huckebein. Summer nightlife – In these bars you can spend long evenings in the summer: Bollwerk-Buvet, Il giardino urbano, Marina Basel, Hinterhof Terrasse, Cargo-Bar, Patschifig, Landestelle. Start an inquiry and get 5 offers from cleaning companies. Compare prices online and book your favorite. Benefit from the handover guarantee, the fixed price guarantee and our exclusive coupons.